APPLICATION DEADLINE: February 12th, 2018 at 11:59 PM. Please submit a cover letter and CV in one PDF file to Nadra Wagdy at ceo@safconcordia.ca. The first round of interviews will be conducted on the weeks of February 19th and 26th. Applicants will be selected using pre-established criteria set by our Board of Directors Human Resources Committee. The Sustainability Action Fund is financed by a 25-cent per-credit undergraduate student fee levy, and a $1.25 per term graduate student fee levy. This fee-levy equals approximately $210,000 per year. Our fund exists to support Concordia student-led projects concerning environmental and/or social justice issues such as; building sustainable infrastructure, promoting urban agriculture, strengthening community, and education surrounding environmental and community issues, with the goal of developing a culture of sustainability at Concordia University. 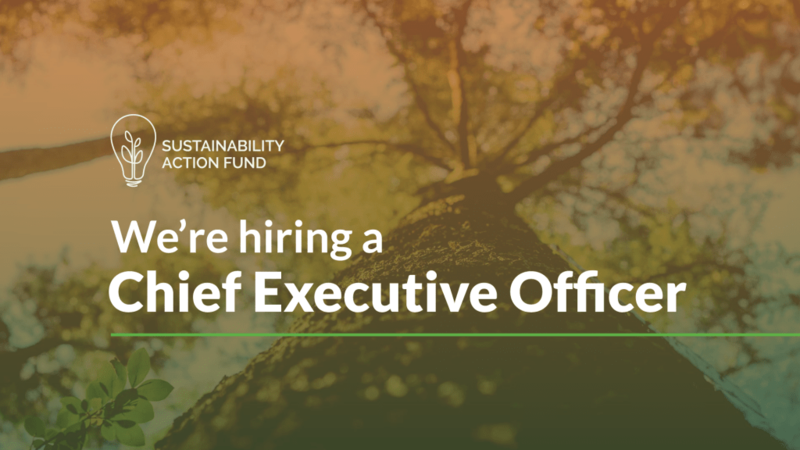 The general duties of the Chief Executive Officer is to manage all programs, activities and personnel of the Sustainability Action Fund under the supervision of the Board of Directors. Additionally, the Chief Executive Officer shall also be responsible for implementing and supervising programs and activities and ensuring the financial stability of the Sustainability Action Fund. Lead the development and execution of the organization’s mission and long-term strategy. Serve as the chief spokesperson for the organization and ensure proper representation to its various constituencies. Establish and maintain positive relationships and partnerships with the university administration, faculty members, policymakers, media, and professional/community organizations involved in sustainability. Must be fluent in English, written and oral. Bilingual in French and English is also strongly recommended.